Bored Dad was in the garden one day when my daughter asked if I’d like to play Frisbee with her. Now, I love Frisbee, always have, but we don’t have a very large garden. So, at a distance of about 6m/20ft we begin…..
At this distance the passing can be fairly quick and being easily bored and highly competitive I started to speed it up even further, G responded with equal competitive aggression and determination. Before long we had an impressive rally going on. Occasionally someone would pass slightly off target, now, you can either let it go or you can attempt to catch at whatever cost. We both choose the latter, always. The Fumble, The Deflection, The E.T, The Treadmill, The Second Chance, The Frog…..
We are finding new ones all the time. It needs Video/Gif to demonstrate really and I will get around to it. G decided some rules were needed. Bless her, she is an amazing kid but she could overcomplicate noughts and crosses so I’ve had to rein her in on what she had in mind. Distance: We have found 6m/20ft to be about perfect. Surface: Grass, Sand, Concrete....Doesn't matter. 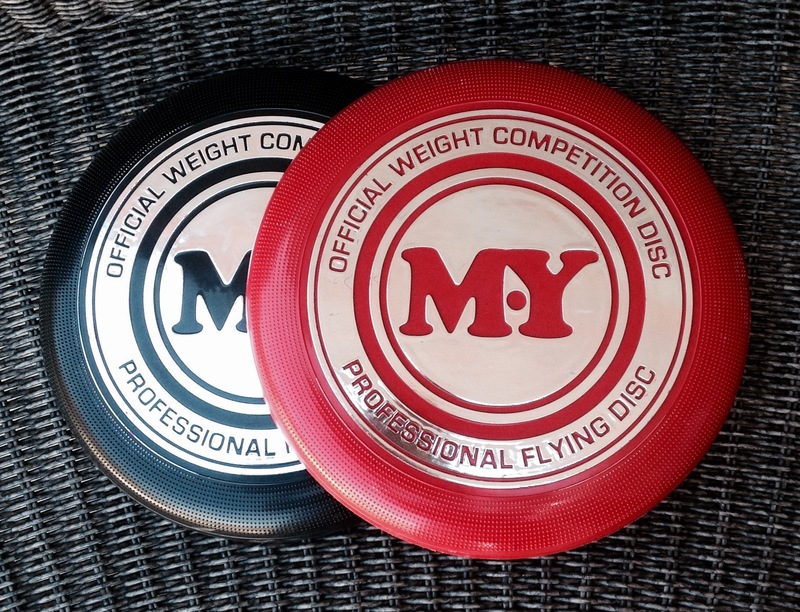 Frisbee: We use M.Y Competition Discs which are 27cm and 175grms. Anything heavier isn’t fun when it hits you at high speed in an unexpected place at this distance! Speed: A catch must be converted to a throw in one second or less. If you hesitate for over a second the count restarts. If you drop or miss it, obviously the count restarts. Record and try to improve your PB. Verses mode is a competitive, scoring game. Same one second conversion applies. An error of your opponent scores you a point, i.e. 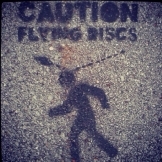 : a drop or a miss. First to 10 points wins a game. A set is best of three. A throw must be within one and a half arms length either side or above your opponent. A serve at the start of a rally must be above the knee of your opponent. This version uses two Frisbees! 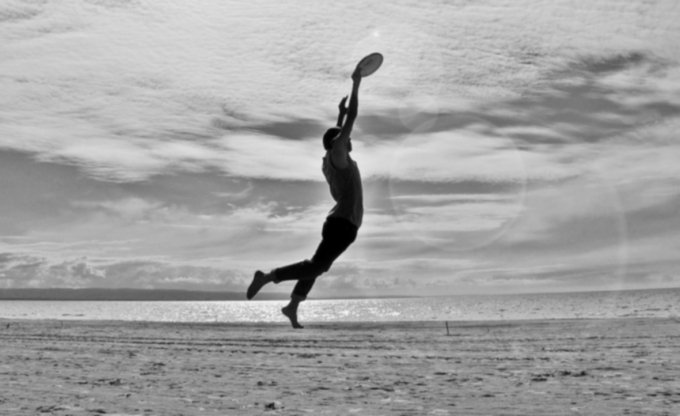 Same basics but you each throw at the same time so both are in flight in synch’. This takes a lot of concentration and so far we have only played it in Freestyle/Count mode. 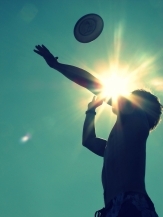 Four+ players, two frisbee's in play at the same time. Same one second rule and equal spacing to start but it all goes mad once you get going. 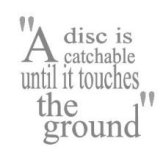 Much fun, very fast and you really have to stay sharp as the disc can come at you from anywhere!